I bought my first Sondek in the mid eighties. It was the deck to have, I was told. Running through Naim pre, PSU and power amps it was, well OK. It had an Ittok arm and Asak T fitted. At the time I was proud to own it, but never felt it was anything other than adequate. I sold it with the Naim amps and moved to CD for a source. Audio Alchemy gear. I liked that, but after a while felt it was too clinical, led by detail rather than musicality. So, I bought another Sondek to hear if I was missing some "soul" in the reproduction. But, it was back to the "fruit box" as far as I could hear. Time for a rethink. I took the Sondek apart only to realise how flimsy and cheaply made it was. The chassis was pressed steel, the top plate thin steel. The bearing was of good quality though. I set about improving the deck. Bought a heavy plinth from an Austrian company that specialise in plinth replacements, damped the chassis with bitumen pads, damped the inner platter with bitumen pads but kept the outer platter unmodified. Definite progress, the "fruit box" coloured sound was gone. Musical flow was less forced and timing was equally as good. Next was a thicker steel top plate, also damped. Good improvement. I replaced the armboard with the later laminated type, that brought a slight improvement. I did experiment with acrylic armboards, but felt they were a bit too clinical sounding. So the platter was next. Pick up a Sondek platter and flick it with a finger - it rings like a bell. In fact, being so heavy, not only does it store energy, it releases it out of phase with the record. Colouration. I have found it to be the Achilles Heel of the Sondek. Its greatest problem. Following on from my previous experiments, I took a Linn Axis platter, damped and weighted it with non-resonant material. It was a revelation. Far less smearing of the sound. The last vestiges of the "fruit box" were gone. music flowed effortlessly, yet had a timing and punch that shone. To finish the deck I manufactured a rectangular carbon/foam/carbon unipivot tonearm. All one piece cut from sheet. Huge leap in the sound quality. Only one thing left to do. Uprate the power supply. So, I built a Naim Armageddon clone from scratch, fitted it into an old Naim enclosure I had lying around. Job done. Punch, dynamics, rhythm, timing and musicality of a high order. I feel no need to change any of it, just spend hours listening to music. So, is the Linn Sondek a good deck? Maybe in later very expensive revisions. But anyone can take an average LP12 and transform it into a super deck for little cost and some well rewarded effort. In summary, I found that the Sondek Platter was its biggest problem. A sound storage capacitor that blurs and colours anything the deck attempts to reproduce. Maybe one day, Linn will experiment with that Mazak platter and improve it. Strange that it is one of the very few common components still used throughout its history. Linn probably never gave it a second thought. Time they did! I have owned my LP 12 for 15 years now and am quite satisfied. It's been through some changes in tonearm (RB300, then an RB600 and then an Ekos), cartridges (K9, Rega Exact, Troika and an Arkiv B) and power supplies (Basik then a Lingo). Current spec is LP12/crikus/trampolin/ekos/arkiv B/lIngo and I am quite pleased. The single biggest upgrade was the Lingo, followed closely by going from a Troika to an Arkiv B (yet the Troika is not without its charms). This probably isn't the best TT in the world, but it sounds spacious, dynamic and sweet. Bass is solid and the treble is sparkly but grain free and not bright. The mids sing. So, over all, I am quite satisfied, and while I would like to fool around with other TTs (A VPI Classic 3 seems interesting) I am keeping this table until either it or I dies. to feedback. Nor did it exactly run on speed. accounting for the beginning of its legend. This is an excellent turntable. I use an SME tonearm with it and every musical nuance comes through. The turntable has been working without fault for over 20 years. No rumble and speed control (pitch) is right on. It has never been in a repair shop. Once set up I have left it alone. 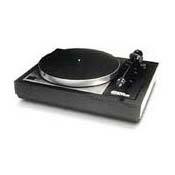 This is the turntable that I recommend of all others that I have owned or heard over the last decades. Turntables that I have owned in the past. Dual, Thorens, Rega, Ariston, Pink Triangle, Stromberg Carlson, Weathers, Garrard, and many more. Also I recomment the VPI record cleaner, the one that has the means to go forward and reverse. That's the one I own, and it cleans records very well. The turntable I should never have bought! Was auditioned against a Roksan Xerxes back in 89. The dealer managed to make both decks sound bad, blaming my kit I'd brought along! The UK hype was so strong back then that I couldn't trust my ears and walk away, and selected the Linn with ITTOK arm. It must be good every one said so! The deck was delivered and still didn't sound good. I kept the deck as my primary source for 16years but was careful not to listen to too much else, as its speed/pitch shortcomings were ruthlessly revealed by CD players, although I personally don't like CD. I actually got the deck to sound pretty good a few years later by rigging up an Armageddon type supply and on some music like dance music where the coloration didn't matter it could sound stunning. On other older recording things fell apart where the mechanical integrity of the deck was tested, some of this may have been the edgy sounding ITTOK. Years passed I decided it was time to pull my head out of the sand and try other decks. I bought a Townshend Rock from ebay and immediately here was something that strove toward accuracy and low coloration and was pretty enjoyable to listen to as well. The LP12 sounded rather hollow in comparison, you can really hear the springs in a neutral set up. As someone said here, if you like the Linn don't listen to anything else in comparison, otherwise you will be sorely dissapointed. Decks like the Townshend Rock Reference absolutely kill the Linn having a combination of the Linns timing but with true bass extension, real world dynamics and neutrality. Having owned the eponymous LP12 with Ittok II arm for 2 years now I feel able to comment on its qualities for those intending to pick up a nice used example of this turntable. The suspended design whilst considered at the forefront in its day has now, to my ears, been surpassed by other manufaturers such as Clearaudio, VPI and of course SME. I have noticed the wide range of comments in other reviews and feel that all of them can, in one way or another, be justified. On the whole, my experience with this turntable has been a good one. Once installed and properly set up (a task in itself) I enjoyed it through the Origin Live advanced dc motor power supply and through a Dino+ phono stage. For good measure I was using an Ortofon Rohmann m/c and the sound was, on the whole, very good with rich tonal imaging, fantastic soundstaging and lots of pace and rhytham. Put on anything from Mozart to the Pixies and the LP12's character was there to hear with full, ripe and textured music which never lost its pace or rhytham - whatever was thrown at it. I can completely understand why this turntable would have received such glowing reports from many satisfied owners. This is especially so when one considers I have had to spend almost 10 times the amount on its replacement to notice a worthwhile difference. At the same time, this excellent used buy should be treated with some caution. Whilst it makes for an excellent second hand buy, there are also some ropey examples with shot suspension and tired arms/bearings. The servicing and careful set up is also a little bit of a bind and ultimately the old adage of 'you get what you pay for' does rear its head when comparing the LP12 to the best of the competition today. The slighly lumpy(?) and nebulous bass can be mildly distracting on some pieces/ tracks, but I feel I am nit picking when taking into overall consideration what you get for your money. Properly set up with a good arm and decent cartridge this turntable has delivered two years of musical pleasure to these ears and whilst its replacement is truly stunning - it has come at a significant price hike. Overall this turntable must receive a qualified recommendation for what it does well rather than its short comings. excellent detail, soundstage and imaging, no coloration, sometimes a little too revealing, will show up poorly recorded albums. will work best if set up on a wall shelf. excellent product support, most quality dealers support linn. spares if required are easy to obtain. none really, except turntables of this quality are expensive of course ( 1 years council tax) but reap many years of listening pleasure. believe all the hype! i eventually acquired a linn sondek fitted with ittok arm and audio technica 440 cartridge and was amazed at the amount of detail revealed from ordinary recordings. my vinyl collection took on a new lease of life, and i continue adding to it. classical music recordings are particularly rewarding, especially as they can be picked up at ridiculously cheap prices these days. the linn is very kind regarding surface noise, you have to listen very carefully to let it interfere with the music. i also use cd's but prefer vinyl, cd's are fine but can sound clinical and lack the sophisticated sound of vinyl.i had the deck set up professionally for £30 and will need no further maintenance. modern styli are very robust and even if used everyday will last for years if cleaned regularly, as is the same for records, most of my collection are 30 to 50 years old but still sound new. will we still be using the same cd's in 50 years? who knows time will tell. rega planar 3 with rb250 arm, the best budget deck on the market, amazing sound. Excellent performance. It has been around for 30+ years so support and parts are available. Well-made. Somewhat finicky, but not as bad as some would lead you to believe. Let me start with the bottom line: This is an excellent turntable. My set-up has the Cirkus bearing, Ittok tonearm, Valhalla power supply and a Shure V15VXMR cartridge. The stock tonearm cable was changed to a custom-made Discovery Plus 4. Now there are many newer tables available that may be better in engineering build quality and many are likely better against some standard of sound quality. If you truly like to listen to music I don't feel owning a Linn LP12 could ever be considered a mistake. This deck is not the easiest to setup, but it is not nearly as difficult as some of the folklore would have you believe. The suspension seemed easy with the Ittok, perhaps with other brands of tonearms it might me more of a challenge. Once the cartridge is roughed in, I use an old Dennison Soundtraktor to get the cartridge aligned. Actually, I matched my final result to the cardboard tool Linn includes and both results were dead-on so it may be a cheaper way to go! Initially, there was some fiddling to try to find the proper height for the tonearm, but this adjustment only needs to be done once for an average height record. (After that, if you are REALLY fussy, I recommend the Ringmat spacer system for adjusting rake angle much more easily---but it is expensive for what you get.) One difficulty with any sprung suspension turntable is its susceptibility to footfalls. The LP12 is a very touchy deck and needs an appropriate support. I have found that the wall-mounted Target stand is excellent for isolating the 'table. Targets are easy to find second hand for about $70 and well worth the investment. I have not tried any of the floor standing supports like the Mana etc. Getting to the most important part of the review, the performance is remarkable. My fairly common LP12 setup does get to the heart of the music. I won't comment on the whole rythmn and pace thing, but music just comes alive through the LP! @ that it hadn't through other good decks I've owned.It provides a very tight and stable support for an album. I have about three hundred albums, some of which I've owned for forty years and compared to the CD equivilents, still sound much better. I think the Shure cartridge is able to get deep into the grooves below all of those years of wear and provides excellent reproduction. Note: I have used higher priced moving coils with even better results, but also I've felt that sick feeling in my stomach after shearing off an expensive cantilever on a cartridge and now prefer forego some ultimate performance to avoid those hugely expensive mistakes! I recommend a Linn LP12 for those who want solid, reliable performance in a table that they can keep for years to come. It's not the fanciest or most high-tech looking turntable, but it can really sing! The linn LP12 and associated gear really extract the most minute detail from the record groove. If I had this turntable in the 1980's I would not have stopped buying lp's. I decided to upgrade my turntable. After buying over 2,000 compact discs and spending over 4,000 hours listening to them I decided to dust off my old turntable. It was a Thorens 320 which I purchased back in 1986. The turntable was semi retired in the late 1980's. I was tired of the hassle of playing a record with its pops and clicks. Compact discs were easy to store and were not prone to the pops and clicks an lp had. In addition, you did not have to handle a compact disc with white gloves. However, as time wore on I decided to crank up the old turntable. I realized that I was missing information on compact discs that lp's seemed to have. I started to add to my record collection in the late 1990's. A little over a two years ago I noticed that there was an LP12 with all the upgrades, naim aro tonearm and van den hul grasshopper II cartridge posted on ebay for $2,200. What a steal! This is by far the best turntable I ever heard.